Chennai Super Kings will travel to the Sawai Mansingh Stadium, Jaipur to face Rajasthan Royals in the 25th match of the season. The table toppers and defending champions will take on the hosts that are languishing at the second last position. 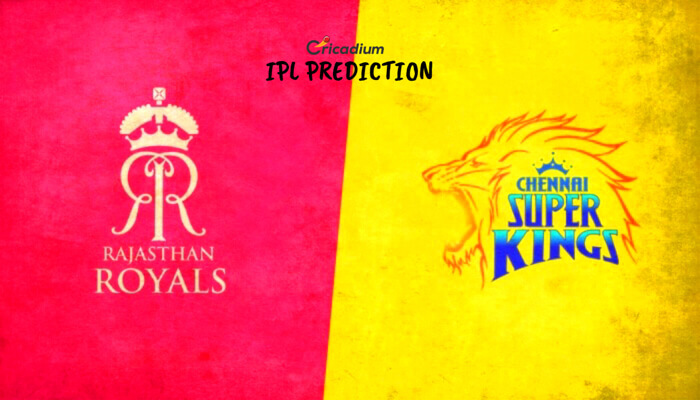 Keep reading to find out the IPL 2019 Match 25 RR vs CSK Match Prediction. The reigning champions have once again ruled the tournament. They have won 5 out of 6 games so far. Yet again, no team has been able to match the might of CSK. There doesn’t seem to be any weakness in the MS Dhoni-led side. At home or away, the Men in Yellow have been a force to reckon with. On the contrary, RR has struggled big time. They have lost 4 out of 5 matches and are placed seventh on the points table. Despite having a good team, the franchise has found ways to lose. They will have to play out of their skins to make it to the playoffs. The road is not going to easy as CSK stands in their way. IPL 2019 RR vs CSK Match Prediction: The forms of two sides in the tournament have been extremely opposite. Purely on that count, CSK has the edge over RR in Jaipur.